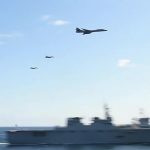 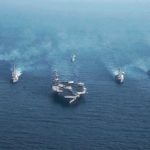 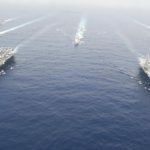 In a massive show of strength that was meant to reassure allies in the Asia-Pacific region, the U.S. Navy deployed two aircraft carrier strike groups in the Philippine Sea. 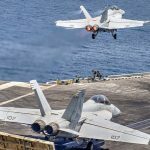 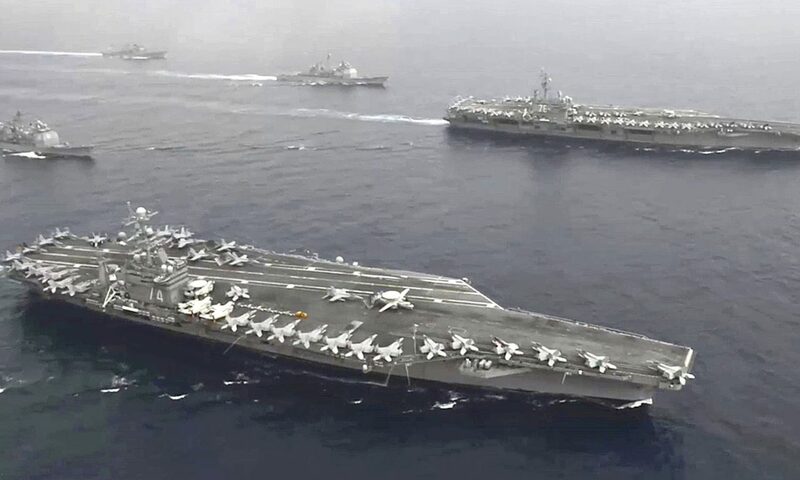 The Nimitz-class aircraft carriers USS John C. Stennis (CVN 74) and USS Ronald Reagan (CVN 76) conduct dual aircraft carrier and strike group operations in the U.S. 7th Fleet area of operations in support of security and stability in the Asia-Pacific. 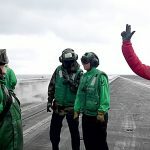 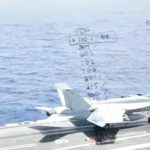 Posted On June 19, 2016 in Military, Navy with 0 Comments.Tagged: 7th Fleet, aircraft carrier, Asia-Pacific, Defense, Pacific Ocean, Philippine Sea, ships, United States Seventh Fleet, US Navy, USS John C. Stennis, USS Ronald Reagan, Warships.